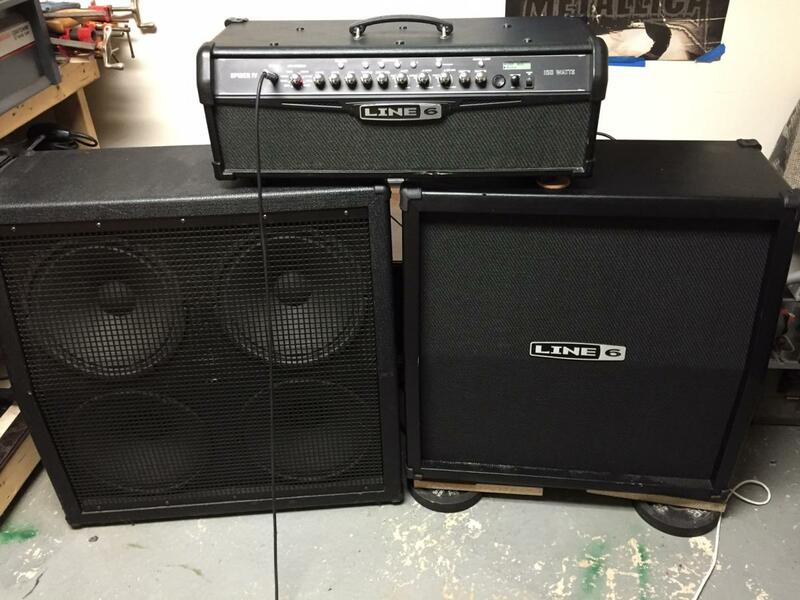 I recently purchased a line 6 4x12 cab to go with my HD150 head, I also have a raven 4x12 and thought I would try to hook the head up to two cabinets. This looks kind of silly but I dig the tone mixture from these two different cabs. I have used this a little bit already at low practice volume but if I can I would like it as a rig in my band setup. 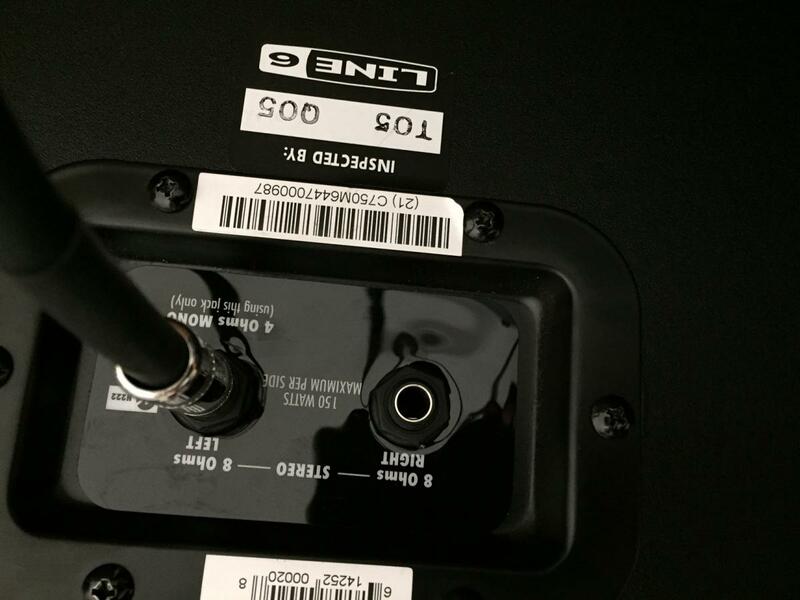 I am very worried about damaging the cab/blowing speakers etc. and would like to know if this is safe to use. I have attached some pictures of what I'm dealing with. 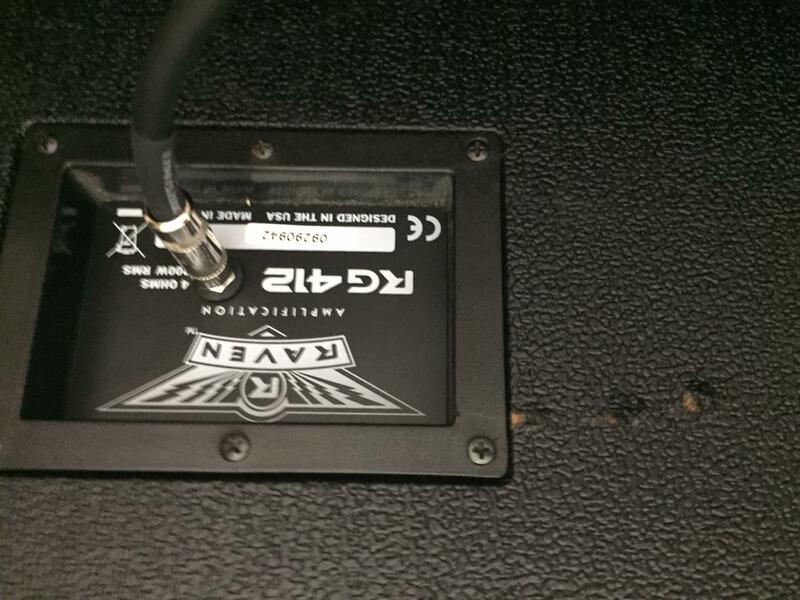 As long as your Raven speaker cabinet is rated for the power, there shoudl be no issue. So having the 8ohm head connectors left/right going into each 4 ohm cab should be fine? 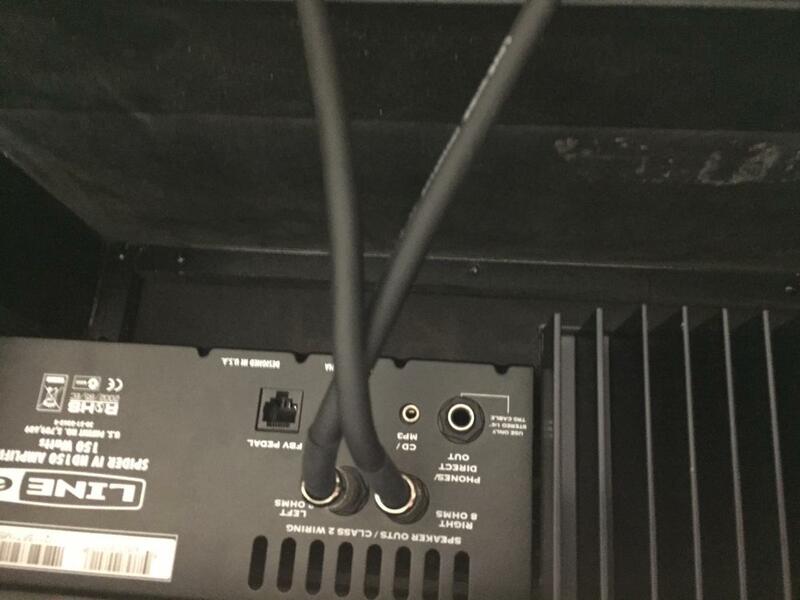 DO NOT plug an amp's 8-Ohm output into a 4-Ohm input of a speaker cabinet. That is bad! Don't do that.